Due to demographic changes and to avoid the conflicting dates of different organizations doing the same thing around us. 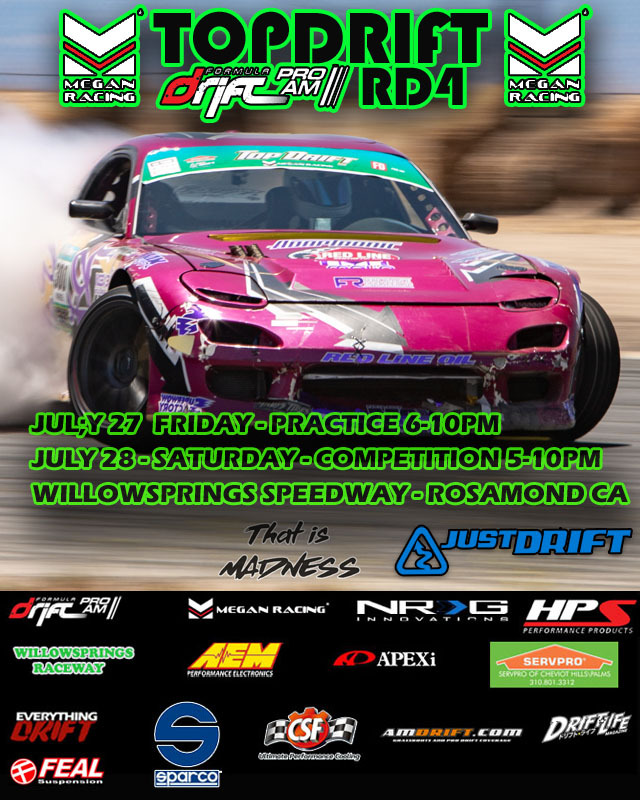 The leaders of the FormulaDrift PROAM series organization had a round table and discussed some of the things that we needed to address. 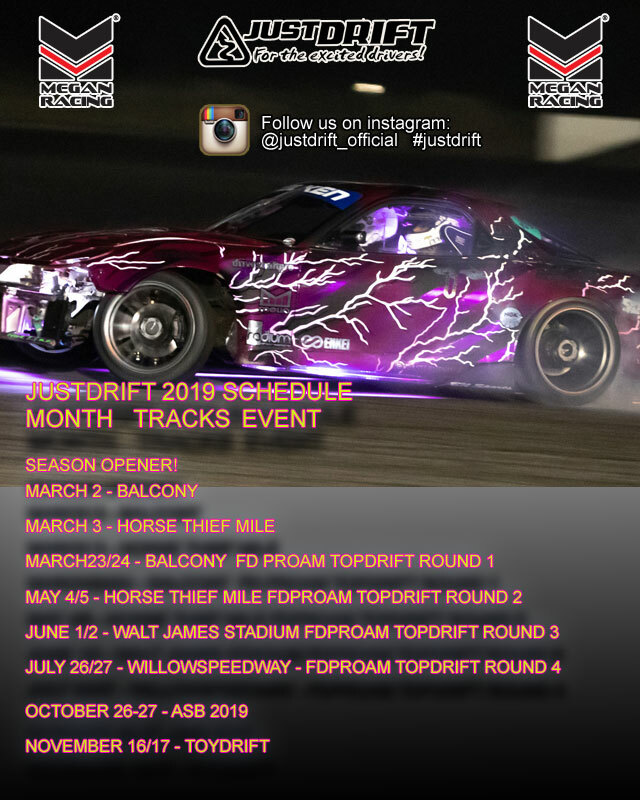 We have to make some changes in our dates for 2019 to accommodate the growth of drifting as a whole, as the organization and also as to be understanding to the drivers and support staff. We know some of the drivers are going to run both series and thus it will be very expensive season and costly to all involve. 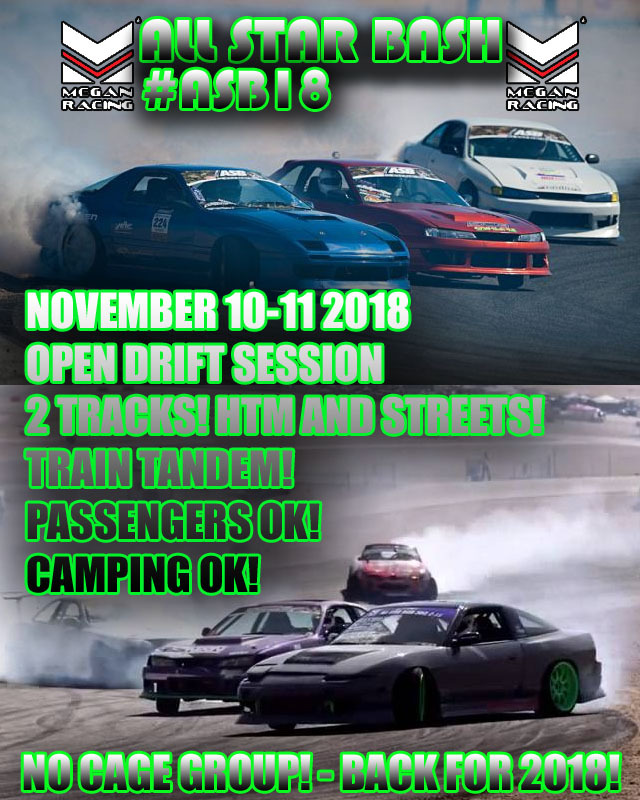 We want the drivers to have a positive experience in both or either organizations you wish to compete in. We consider the budgeting and the financial commitment it will take to traverse back and forth between events. As some may readily afford it, but there are some that will struggle to pursue their dreams of becoming a professional Formula D drivers. So we have to position ourselves to be supportive with everyone involved. We will retain a 4 round championship series for 2019 but will only have 3 weekend events. Round 3 will be a double point round. We will also push back round one to May 18 to allow more time for preparation and to get the drivers some time to reset. Double points round will keep the fight for points open all the way to the last round. Round 3 will be worth 2X the points for over all. You can have a bad round and still be in a fight for the championship until the last round. Thank You all for your support and looking forward to see you guys through out the 2019 season. 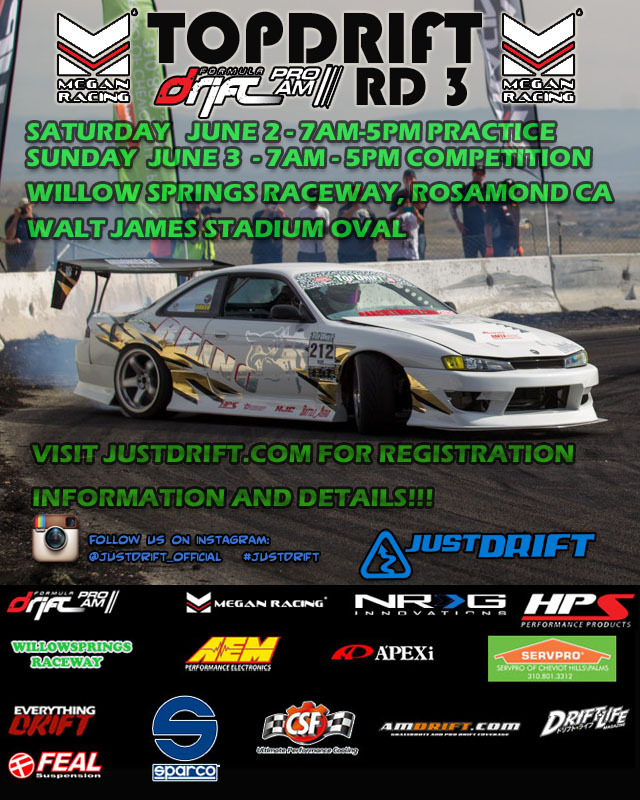 Additionally, this will also give us time to get sneak in some “none competition drift sessions” event in between days. So watch out for those! 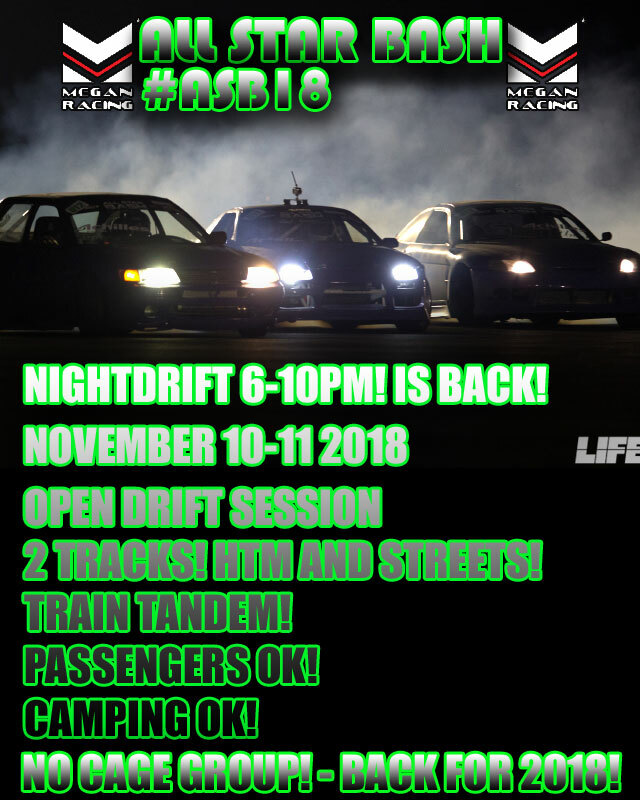 Don’t miss your invites during summer nights drift sessions! ASB18… DONE! #ASBPREP2019 BEGINS! We will update this post with links to photos! Thank You everyone for coming and driving with us. I hope you all enjoyed ASB18! Be safe during the Holidays! Now it’s time to spend time with our loved ones. Reflect and be Thankful for our blessings! 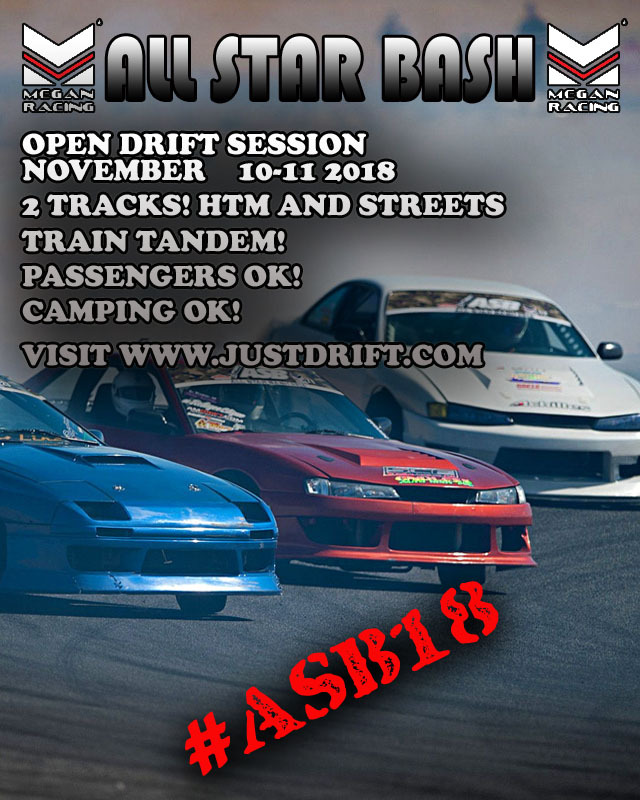 JUSTDRIFT | admin November 13, 2018 | Comments Off on ASB18… DONE! #ASBPREP2019 BEGINS! 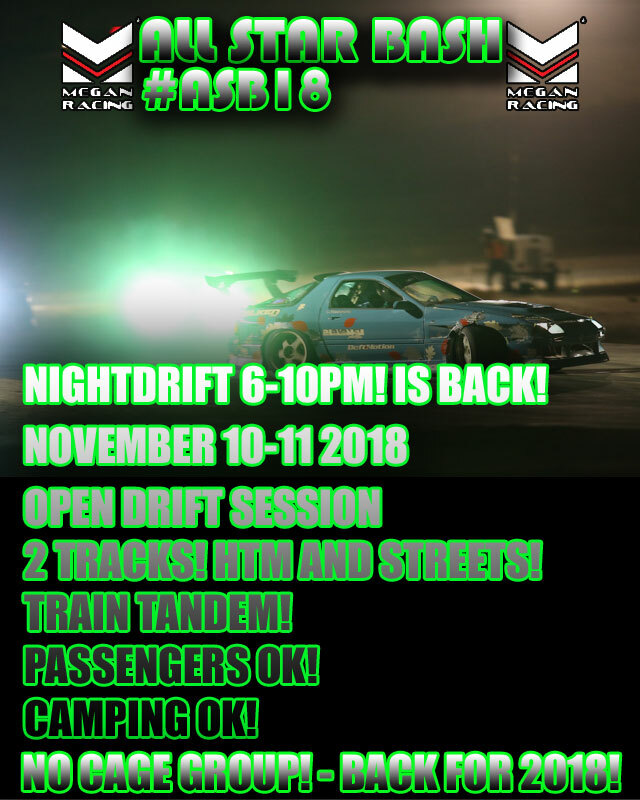 ASB18 NIGHT DRIFT IS BACK! 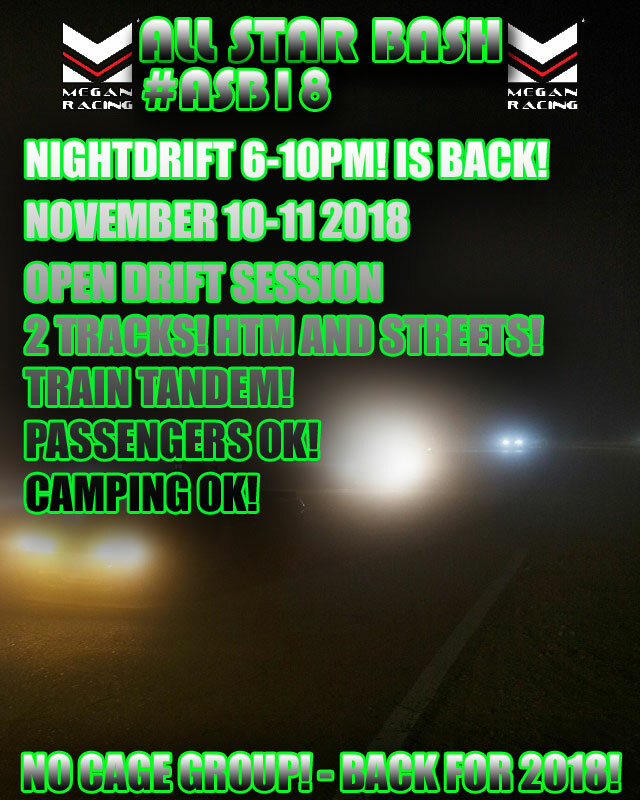 JUSTDRIFT | admin October 4, 2018 | Comments Off on ASB18 NIGHT DRIFT IS BACK! 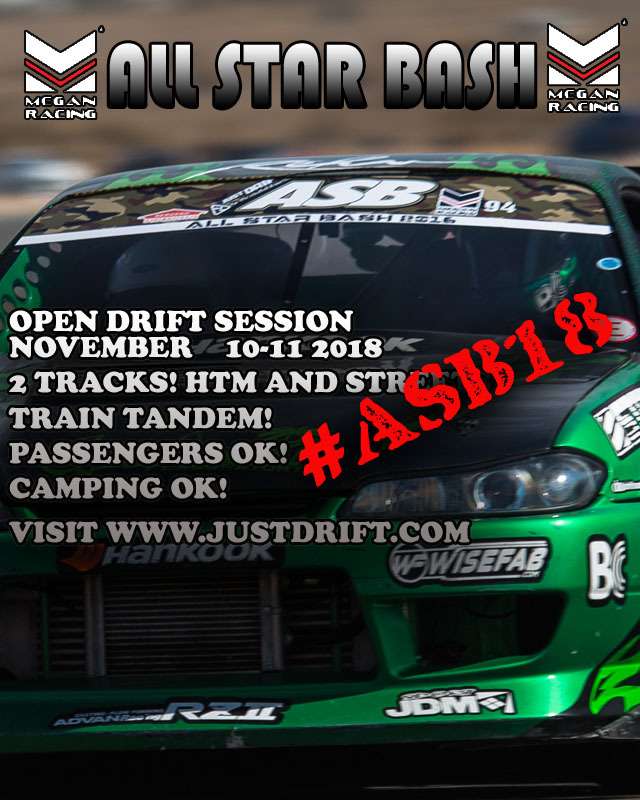 JUSTDRIFT | admin September 11, 2018 | Comments Off on ASB18 IS HERE! 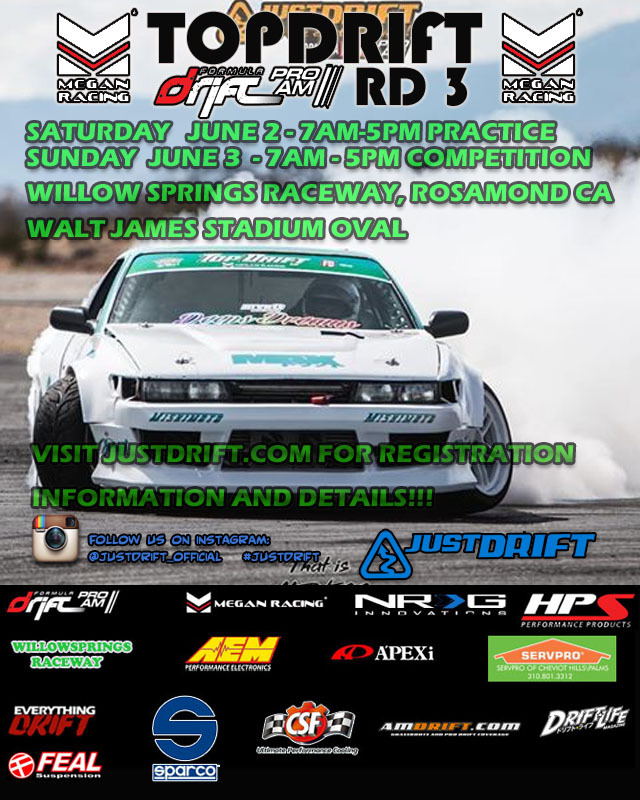 JUSTDRIFT | admin July 6, 2018 | Comments Off on TOPDRIFT ROUND 4! 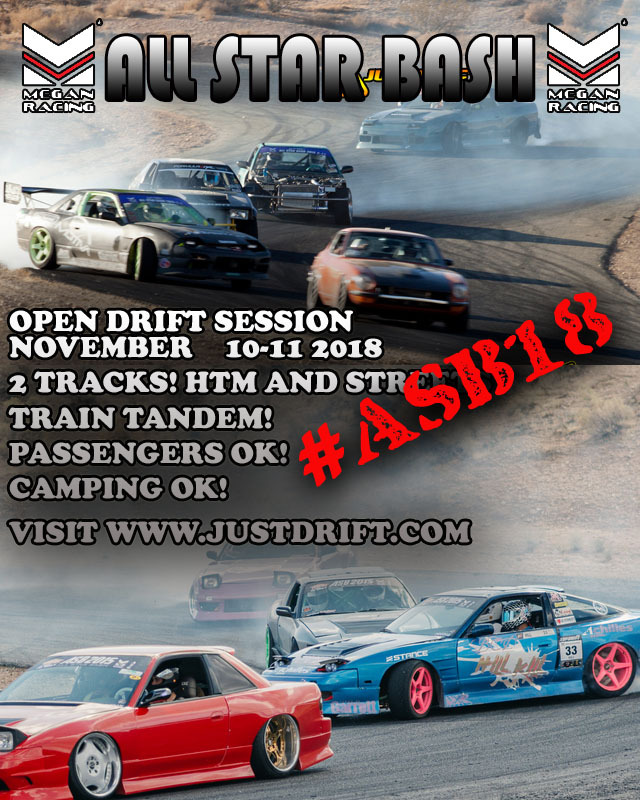 JUSTDRIFT | admin June 19, 2018 | Comments Off on ASB 2018 COMING SOON! 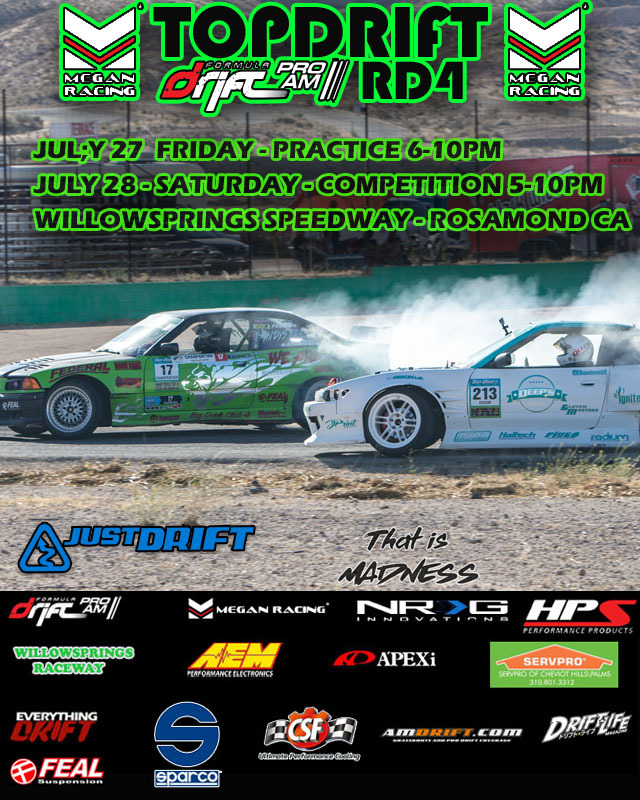 Due to schedule change at WILLOW SPRINGS and the exclusive event that’s happening that week. We were asked to move our date to a week early. 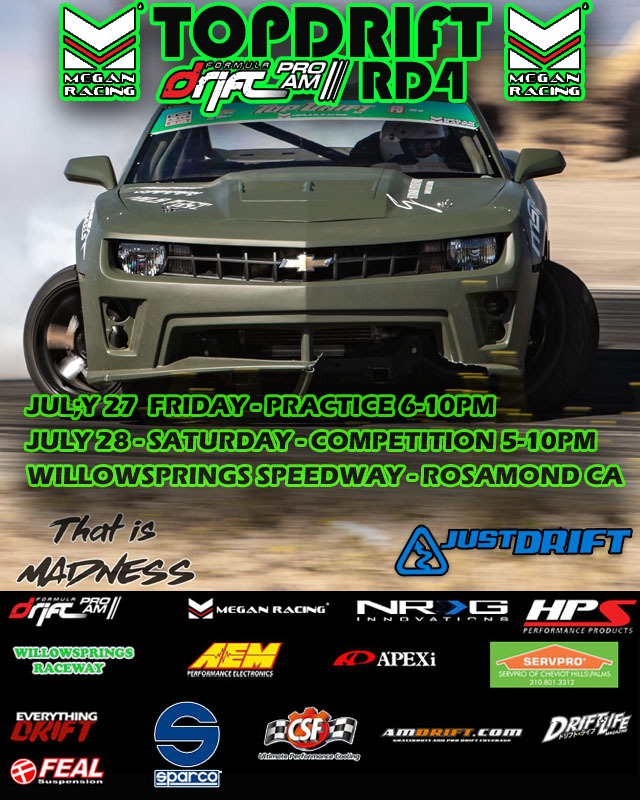 Please mark your calendars, the TOPDRIFT Rd4 will be July 27 and July 28 – Night events. Thank You and sorry for the inconvenience.